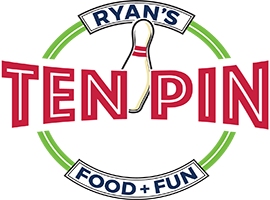 Ten Pin Eatery offers bowling lanes with sofa and table seating so friends can watch the fun. And, a private 3 lane event venue. We also offer a Restaurant, 45 seat bar, Game Room, Laser Tag, 3 Escape Rooms, + Virtual Reality. Our goal is to create an experience your team will talk about till next year. So, if you’re ready to take your party to the next level, take the step and contact our sales office for more information.